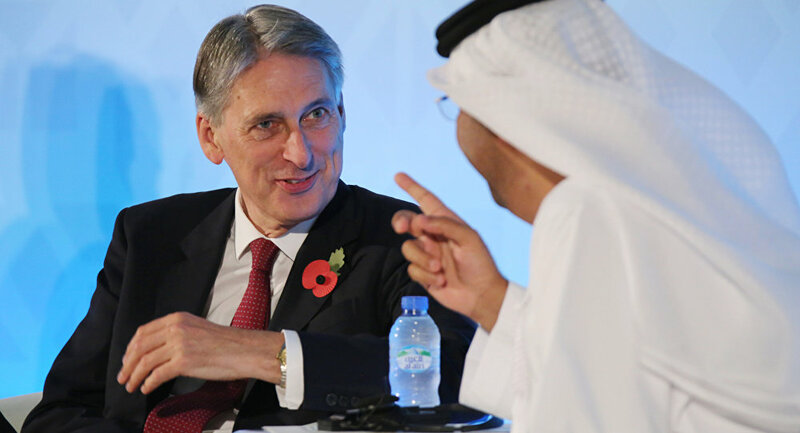 Criticism is mounting on Britain's foreign secretary Philip Hammond who has accepted a watch worth US$3000 from one of Saudi Arabia's richest men. The generous present to the Tory minister was given by businessman Sheikh Marei Mubarak Mahfouz bin Mahfouz following an event in Mr Hammond's Runnymede and Weybridge constituency in the summer. British Ministers are banned from taking presents worth more than US$210, but Mr Hammond claims he accepted the gift in his capacity as a constituency MP. Hammond accepts £2000 watch from a Saudi Sheikh and no one bats an eyelid. If Corbyn had done it….? "What on earth was he doing? No MP should be accepting watches worth near £2000 [US$3000] as a gift. He should now give it to charity." The acceptance of a watch worth more than the allowed gift price by Britain's foreign minister exacerbates the criticism of the Conservative party's cozy relationship with the Saudi Arabian kingdom. Hammond's excuse for £2,000 watch gift as convincing as claim that Pickles digested Savoy lunch with his private not ministerial stomach. Former Liberal Democrat leader, Lord Ashdown recently said British foreign policy was being influenced via "the closeness between the Conservative Party and rich Arab Gulf individuals." Lord Ashdown told British media that the failure by British Prime Minister David Cameron to put pressure on Gulf states to stop funding jihadists raises questions over the Conservative Party's links to Saudi Arabia and Qatar. Defending his decision to wear a new watch, a spokesman for Philip Hammond said: "The gift of a watch to mark the unveiling of the local commemoration was a constituency matter, not a government one, which is why it was declared fully, openly and properly in the Commons' register of interests."